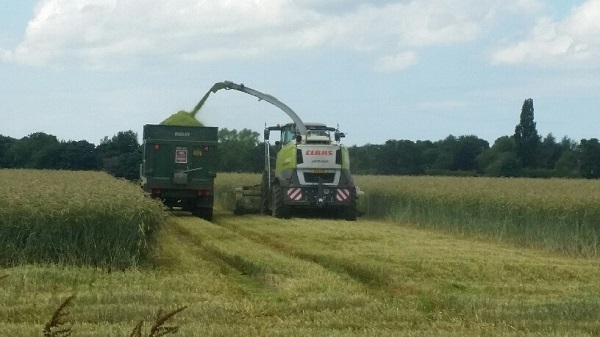 Rye harvested started on the 3rd July with DH Barnes doing the foraging with his new CLAAS 960, 5.2m disc drive header. Crops in general good considering the growing season we have had, but normally we would have expected to have seen more tillering in a 'normal' year. 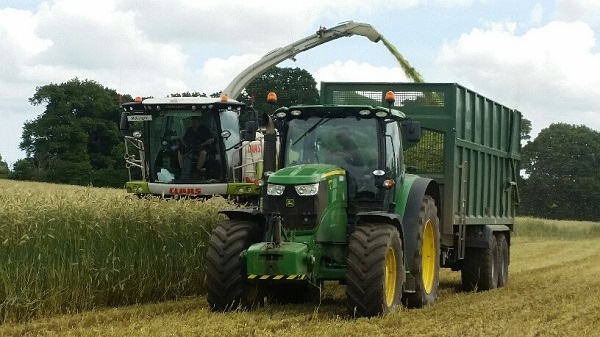 This aside, the groups adjusted yield is hovering around 32t/ha when adjusted to 37%DM with the avg DM at harvest being about 34%, so not a disaster. 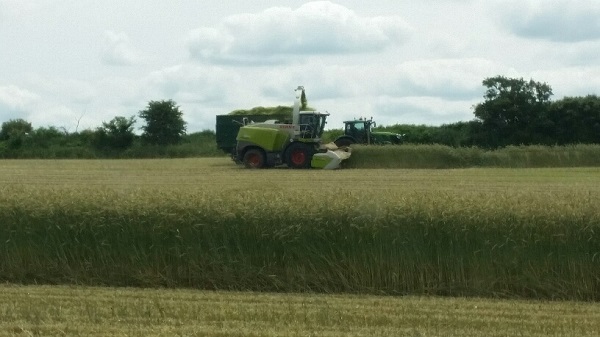 Harvesting about 25ha a day so we should be done by the 11th July if we have a good wind behind us. 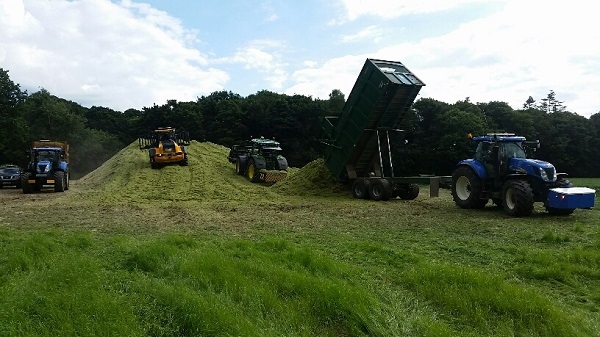 The first of the grass has started to be collected today and clamped at the biogas plant. 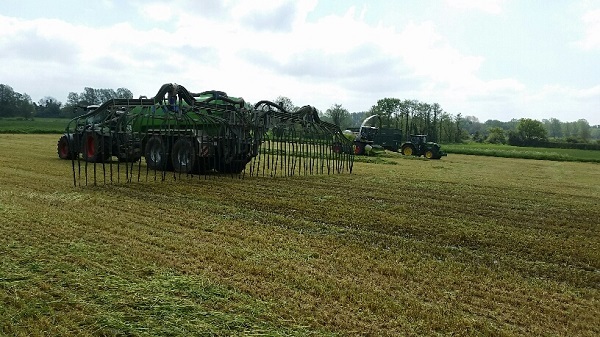 Yields are very good considering the spring we have had. 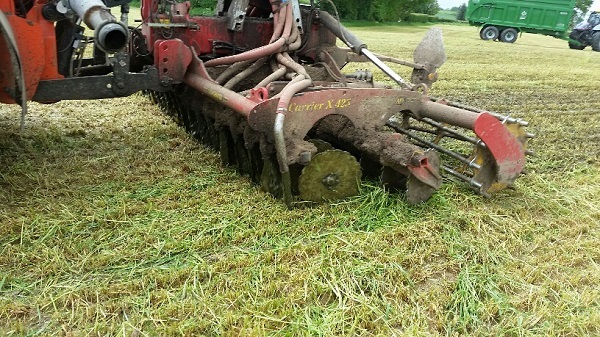 Now for a quick turnaround in the field so we can get the maize drilled. 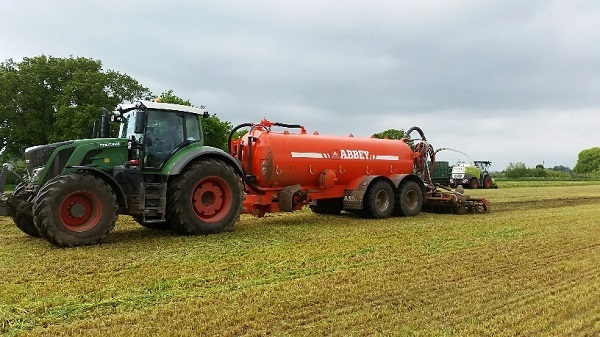 In an attempt to achieve this we are applying 50m3 of liquid digestate which is going to be ploughed down and then we will drill with maize. 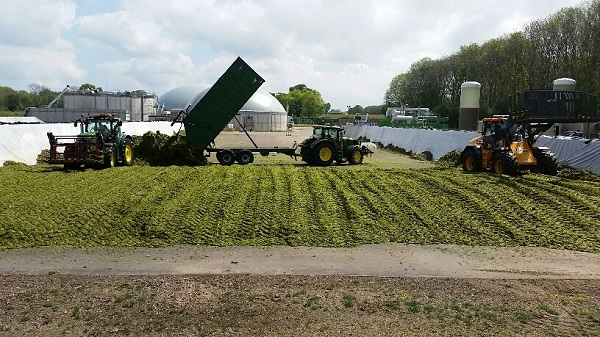 This will provide sufficient nutrients to the growing maize crop through to harvest. 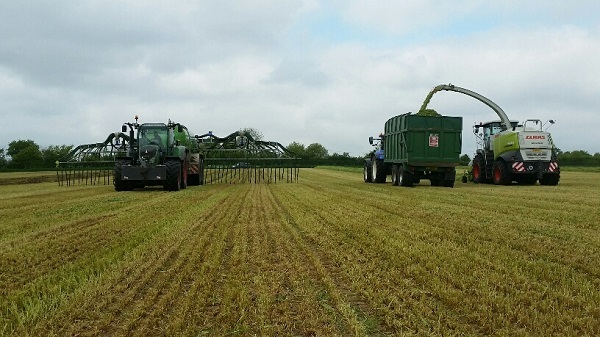 Maize drilling continues with both the F8 and TPV12. 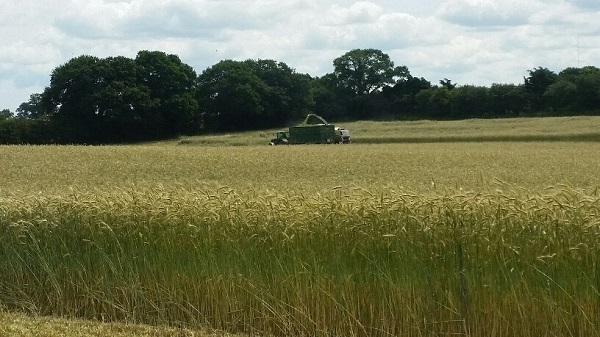 Area drilled is now 42% in just 5 days so acres are being covered. 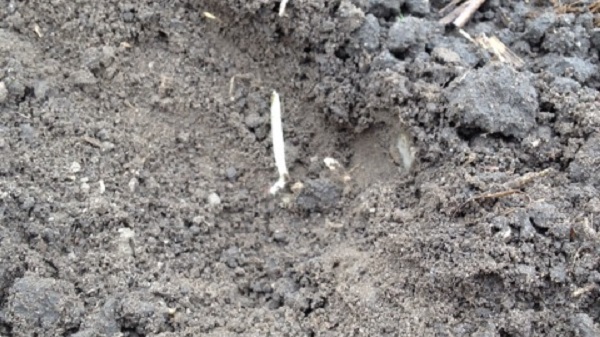 The first of the maize drilled last week is almost through, so it just shows how much the soils have warmed up. Rapid emergence being seen. A little rain today will do the world of good. Growers need to be mindful if using a pre emergence spray to get this on immediately post drilling.